As one of the oldest audio companies still in business, you can bet they know a thing or two at Beyerdynamic about sound. 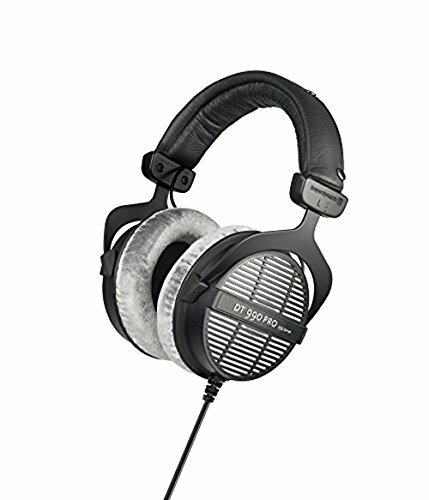 Today we are sifting through the 10 best Beyerdynamic headphones in 2019 for an up to date comparison of what they've got in their inventory. With just shy of a centuries worth of experience, centered around the mechanics of speakers, headphones and mics they make some of the worlds best audio electronics. 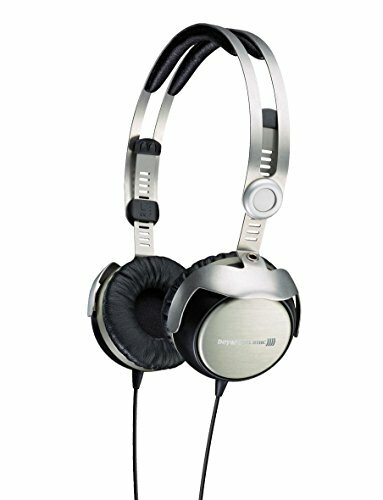 Are Beyerdynamic Headphones worth it? They fiercely compete with their direct long-running competition Sure, and have over the years produced a plethora of popular models. 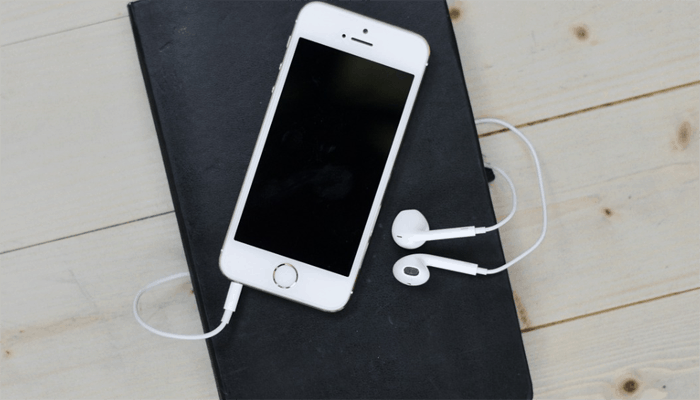 Now whilst the general headphone design hasn't change much conceptually, the modern age and all the newfound knowledge which has come with it has inspired some very innovative leaps which help to enhance the listening experience. None more notably than the flagship models of Beyerdynamics Premium, Professional, and Audiophile sets. Highly natural and accurate sound. First to catch our eyes are these fantastic open-backed set from Beyerdynamics Professional line which features Dynamic Tesla neodymium drivers. They are studio reference level quality, ideal for mixing, monitoring, and mastering they serve up a pristine sound with accurate signals. The circuitry is very refined, the craftsmanship shows and they have a very good frequency response. The cutting edge Tesla drivers work extremely well at high output creating high-resolution audio with great fidelity. They efficiently produce broad cross-spectrum sound with crisp highs, detailed mids, and rich lows. The open back circumaural design allows for much better spatial reference and more critical listening. They are durably built from top quality components and are finished with a titanium-coated, acoustic fabric and a secondary layer of precision-woven textiles. They come with a choice of 2 different velour pads which serve up two variant listening methods, one very balanced to experience the track, and one more analytical for engineering. + Highly natural and accurate sound. Why We Liked It - They are a best-selling professional studio reference set that serve up dynamic sound, honestly reproduced crucial for optimal mixing and mastering. Now the first pair set really set the bar in terms of audio fidelity but they fetch an expensive price so let's take a look at some of their more affordable options in the Pro series. The DT 990's were the 3rd to appear in their Professional series and still which Beyerdynamic innovative neodymium drivers with a Tesla-inspired design. They still give a great level of detailed clarity in the mix, provide spatial dynamics and are studio reference quality as are all the headphones in the Pro series. They provide the same high performance, with the drivers effortlessly handling the workflow. They are once again open backed and over-ear style and feature very soft velour ear pads for added comfort during extended listening periods. They have a coiled wire, which is far more durable in the long run as they tangle less, making them ideal for studio use as they will be constantly put on and taken off again. They are comprised of premium parts quality materials and they are beautifully manufactured. + Same superb sound transducer. Why We Liked It - Their open design along with the luxurious pads ensure nominal sound pressure levels creating an ear-friendly environment for longer mixing sessions. Now we present what is essentially the home-use version of the amazing 1990 set. They serve up the same high-end audiophile quality sound but are designed for lounging instead of working. They are priced just slightly below the studio reference set and come with a bundle of goodies. They employ the same Dynamic Tesla drivers with their neodymium magnets, which are some of the best out there and are quickly becoming the new industry standard in top-quality audio-electronics. They are made with a cushioned headband, that is less restrictive, the studio sets need to keep the sound in prime position for analytical monitoring, which the home-sets do not. They have an open back design which is ideal for at home as you can listen to lower levels and still be aware of your actual surroundings when needs be. 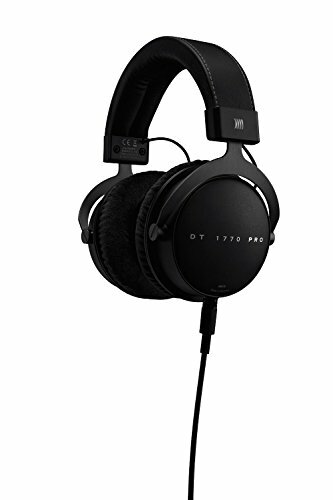 They built in house by the expert engineers at Beyerdynamic, with the reputable and reliable craftsmanship we have come to expect from their high-end lines. The accessory additions include; a well-designed headphone case, microfiber cloth to keep them in tiptop condition, as well as a stand for them to perch on between uses. Why We Liked It - They are premium quality, probably a little better than most people need for home listening but they are certainly a set which will satisfy the audiophiles out there. Another affordable price open design set for home use is the 990 pair from Beyerdynamics Premium Edition series. 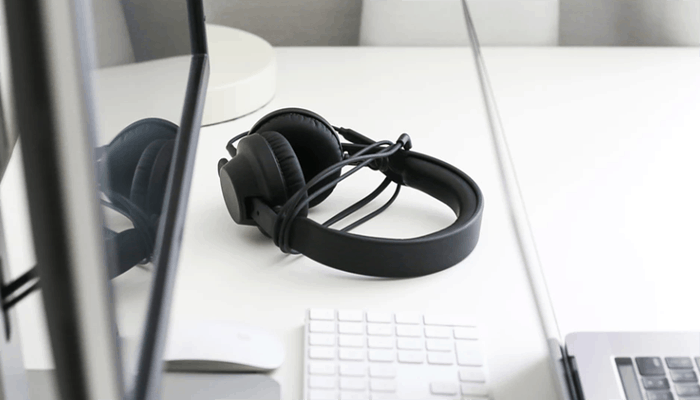 The series was set up to provide high-end listening in a more comfortable package as, studio quality headphones are notoriously on the tighter side to keep them in place whilst you work. The 990 PE set is one of the most infamous models they feature the cutting-edge high-performance Neodymium Tesla drivers which have a superior capacity for dealing with high-output audio. 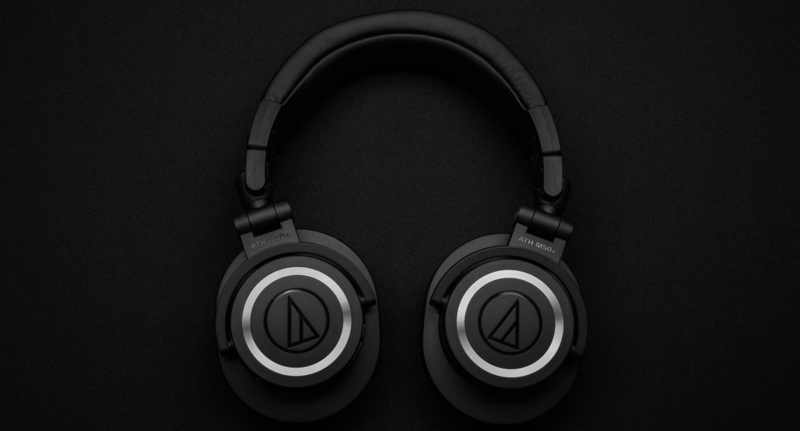 They are essentially a premium version of their 990 Edition headphones, a best seller for almost 2 decades, graced with cutting edge transducer upgrades and modern magnets. 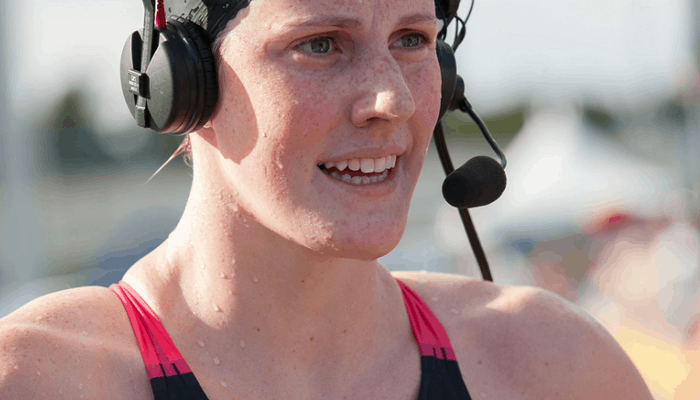 They are decked out in a flexible, foam cushioned headband and feature velour ear-pads which along with the open-design provide low SPL for comfort and enjoyment that won't damage your ears. They have a single wire which is straight and features a reinforced entry point. Why We Liked It - They provide the same studio level quality as the more expensive sets, differing only externally, all electronics and circuitry are identical to the 990 Pro pair. Over to the first of our closed back choices from Beyerdynamics range which also happen to be our first and only wireless selection. They are modern Bluetooth headphones compatible with the majority of Android/iOS devices. 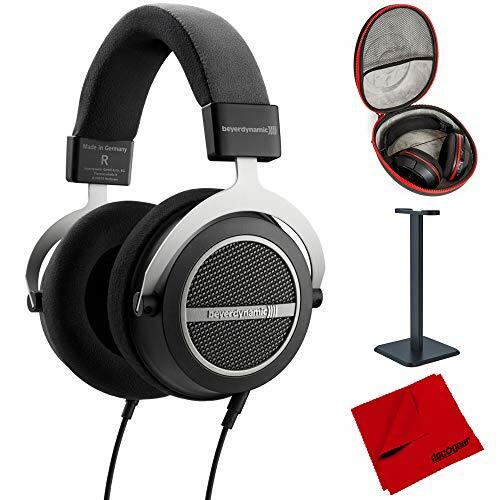 They offer up the same top-notch sonic superiority as their other high-end headphones because they too benefit from the new neodymium magnets and driver concept adapted from Tesla designs. They have a stylish on-the-go ergonomic design featuring aluminum yokes which are adjustable, they have a reasonable transmission distance and an epic 20-hour battery life. 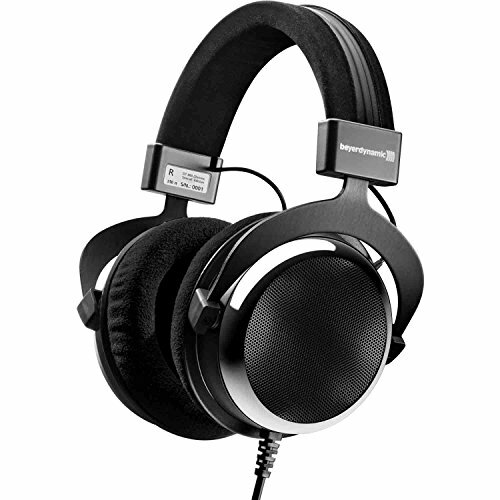 They are a pioneering product for Beyerdynamic, a set of headphones which have really made a leap in terms of their capabilities. They feature on-board intuitive controls in the form of an integrated touchpad. Beyerdynamic has teamed up with app designers to create the 'Make It Your' app (MIY). The App gives users the ability to create preferred equalization settings and save them essentially allowing you to sculpt a uniquely personal sound identity. The touch-pad sensitivity can also be set via the App so your headphones literally can respond to you as an individual. + Broad-ranged, rich audio with great dynamics. Why We Liked It - They are in a league of their own, there aren't any Bluetooth listening devices which can outperform the audio quality experienced with these guys. Back to the wired world of Beyerdynamic headphones for a semi-open selection which serves up the same superior sound, we associate with the rest of their Premium series line. The DT880 P's are a premium upgraded set of the original 880 Edition set, a highly popular choice among customers today despite being available for the best part of two decades, their semi-open diffuse-field design provides a best of both worlds ambiance which is direct, naturally more harmonious and still relatively spacious. They harbor Dynamic Tesla driven speakers which cope effectively with high output audio and feature a gold plated stereo jack for added signal fidelity. The ear-cups feature a bass reflexive design that helps to eliminate bass distortion enhancing the low end so that you can have more bass presence and depth without ruining the rest of the spectrum. They are extremely well fabricated and have a newly updated rugged, adjustable leatherette headband which is comfortable to wear and durable too. The pads are once again velour which is breathable and prevents your ears from getting hot. Why We Liked It - The bass has great presence but doesn't overpower the mix, they provide audio which is very neutral and relaxed for a casual and leisurely listening experience. So your average home audio listeners don't tend to fork out too much on a set of headphones but if you have a more critical ear, with a penchant for the nuances of every pizzicato pluck, or the breath of an artists anguish drenched ballad, then feast your eyes on these 2nd gen beauties. 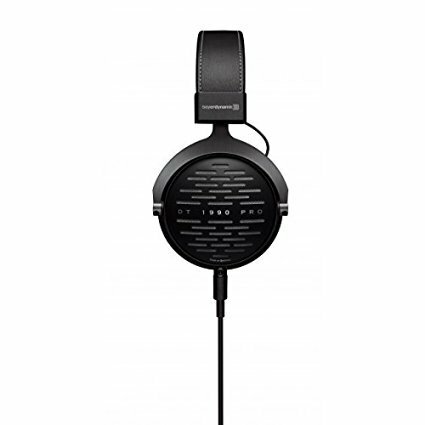 Like the original model they are handcrafted by the skillful German engineers at Beyerdynamic, but they are donned with more warmth and further enhanced tuning as well as an extended harmonic range than their predecessor. They are double wired with high-end quality cables that have woven textile covers and have ultra-pure OCC copper conductors which are the best the industry can offer. They feature very indulgently, next-generation, hollow fiber velour pads providing the epitome of comfort. They have a low attenuation of noise as they are semi-open in design with a rich ambiance and nominal pressure levels. The bass is impressively impactive but doesn't overshadow the diversity of the mid-range soundscape. They have a high impedance of 600 Ohms making them suited to Hi-Fi listening. + High end audiophile home headphones. + Refined 2nd generation model. Why We Liked It - They are an exemplary model, they have unbeatable wearing comfort and provide the some of the most faithful and flawless audio around. Next up we have a closed design pair which makes for another great personal audio choice. They are portable and flexible and come with a carry case rendering them ideal for those on the go. They feature the same Dynamic Tesla driven array in each swivel-mounted ear cup. This swivel action allows them to fold compactly for convenient storage as well. They are well-crafted and serve up audio that is well-balanced with great clarity. They provide very rich bass with great depth and are very impactive and direct because of their closed back nature. They are reasonably priced for their modern capabilities. Despite being a wired set of headphones (one dedicated wire for each ear-cup) they feature a built-in, 3-button, Apple compatible remote for easy user control. They have an impedance of 32 ohms making them suited to mobiles, tablets, and iPods. They also harbor a built-in microphone for voice calls. They are very comfortable to wear, featuring contoured, padded leather ear-pads. + Swivel ear-cups and carry-case for compact storing. Why We Liked It - They are an ideal set of headphones for those on the go to privately listen to their devices, we like the additional remote control capabilities. If you were seduced by the semi-open nature of the DT 880 Premium Edition set we reviewed but need a something with an impedance suited to a Hi-Fi system then look no further, than their award-winning, Special Edition 600 ohm model. Again the inner mechanics have been upgraded to match more modern capabilities but the 880 design remains largely untouched. Their design refinements center once again around a neodymium magnet with a great magnetic field density. 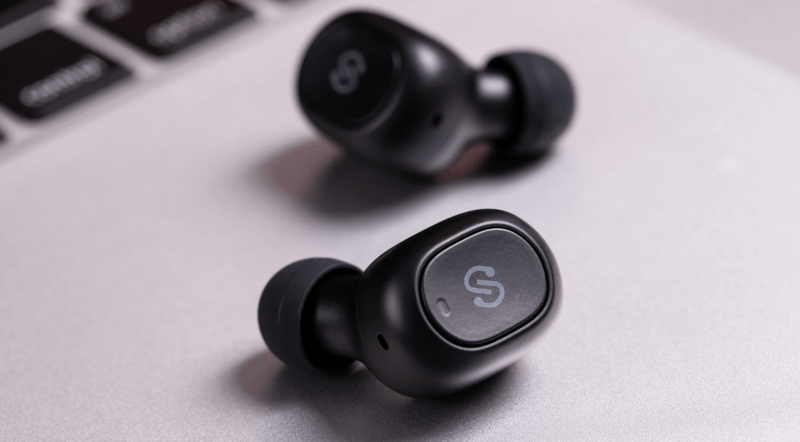 Their semi-open design combines the best elements of an open and closed headphone design adds in a miniature bass reflex port providing some of the clearest audio around. It is full-spectrum, naturally vibrant and the semi-open cups create a real sense of immersion. They feature a padded headband and replaceable soft pads for longer listening sessions and come with a leatherette carry-bag. Why We Liked It - The ported design provides impactive but unobtrusive, distortion free bass, like the 250 ohm set which we reviewed above. We are finishing our reviews with the closed-back version of the exemplary pro series studio reference set we opened our reviews with. 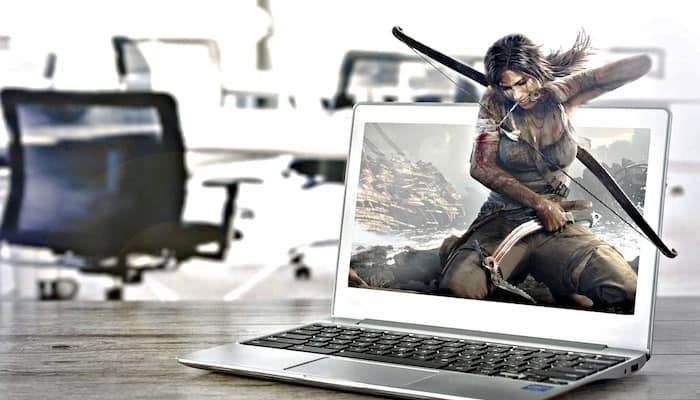 Which once again utilizes the Dynamic Tesla technology in its neodymium drivers. They are audiophile level headphones, they are perfect for intense critical engineering work. 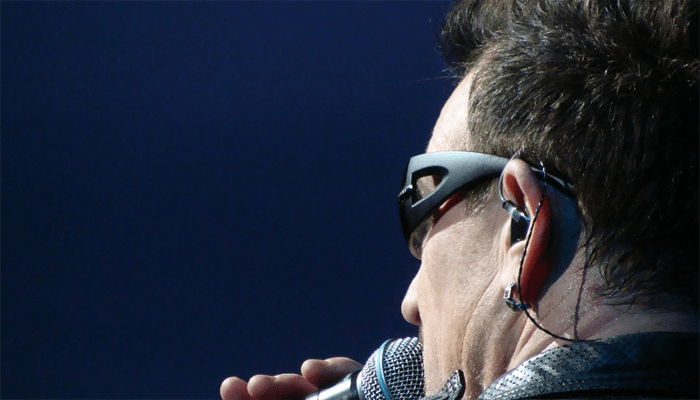 They perform superbly under rigorous high output layered audio. The high end has an absolute, crisp resolution, the mids are rich with definition and dynamics and the bass is punchier because of the closed design, but not overstated in its presence and depth. They feature a 3-layer compound membrane, and they are contact-pressure optimized for maximum comfort. The headband is fully adjustable and has been designed for longevity. It is manufactured beautifully and combines some of the latest high-tech textiles, for sweat prevention and temperature control making them ideal for lengthy editing sessions. They come in 32/60 and 250 ohms for studio reference use. Why We Liked It - They are a benchmark setting pair of closed studio monitoring headphones, pretty much second to none at their retail price. A closed back pair of headphones feature ear cups which are sealed around the back directing the audio solely to your ear canals, the audio is deemed slightly synthetic sounding as the elimination of ambient background noise, makes processing the audio seem less natural sounding to your brain. 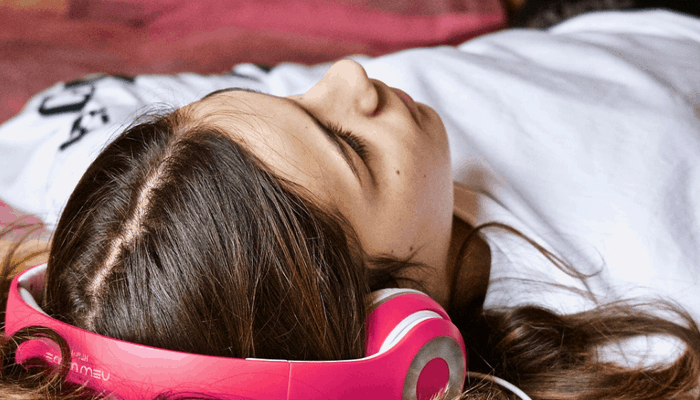 Closed back headphones block out the background noise which many prefer when they are listening to their personal playlists, they also mean no-one hears what you are listening to unless you are listening to silly volume levels, which you ought not to. Closed headphones can be too intense for long listening sessions, and they typically have higher SPL's. Open back models, give you a more natural variation they allow you to hear how the audio sounds in a space, as though it were being performed, they highlight directional sound which has been recorded and panned to a specific channel, and you experience it in a more multi-dimensional sense. 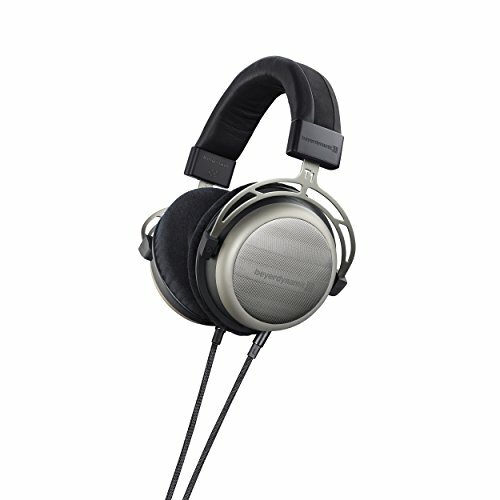 Though for some open-backed headphone are too airy or soft, the bass less impactive. 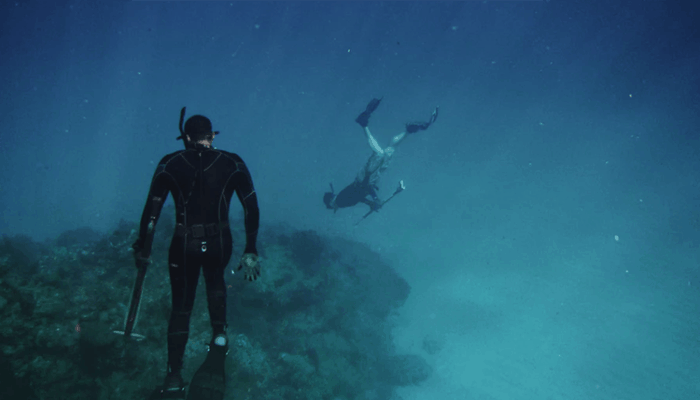 They are safer for those out and about to keep an awareness of their surroundings, but the music you are listening to is somewhat audible to others which can be a disadvantage in the eyes of some. Semi-open sets offer a middle ground, they give the same spacious capabilities as an open set but have a bit more focus. Other phrases that get thrown around when we talk about headphone styles, so here's a quick summary. Portable headphones which are less cumbersome than some chunkier headphone set. Home headphones which as the name suggests are ideal for listening in the comfort of your humble abode. Studio reference headphones which are optimized and enhanced for more critical listening and designed to handle higher outputs, bigger spectrum workloads and of course to handle more general wear and tear as they are at the end of the day a work-horse. We get asked this one frequently because some confuse the brand name with a headphone style. Now it is fair to say Beyerdynamic certainly have their own style but a Beyerdynamic headphone is simply one, designed and manufactured start to finish by the masterful crafters at Beyerdynamic. As with most audio products you will find that the major brands will offer several different series each aimed at a different consumer group. 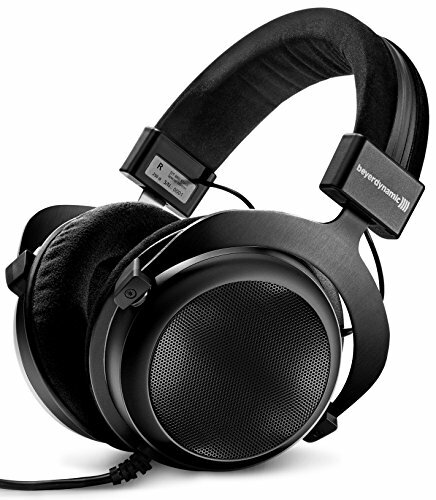 So, whether you have the cash to spare or a more restrictive allowance you should find companies as esteemed as Beyerdynamic have got you covered. 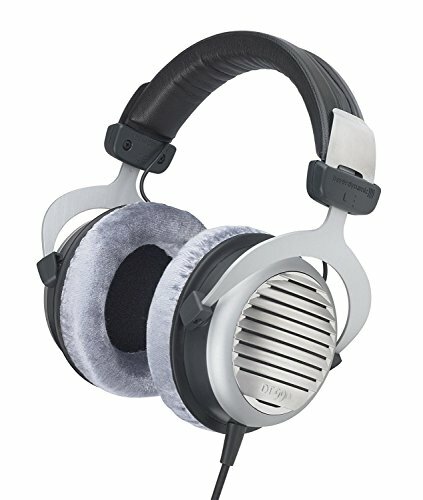 The models we have looked at today span across a price range of $150-$500 with the exception of the 2nd gen audiophile set (at around $750), the which we think is a fairly reasonable cross-section of Beyerdynamics more accessibly priced models that offer the highest levels of respective quality. 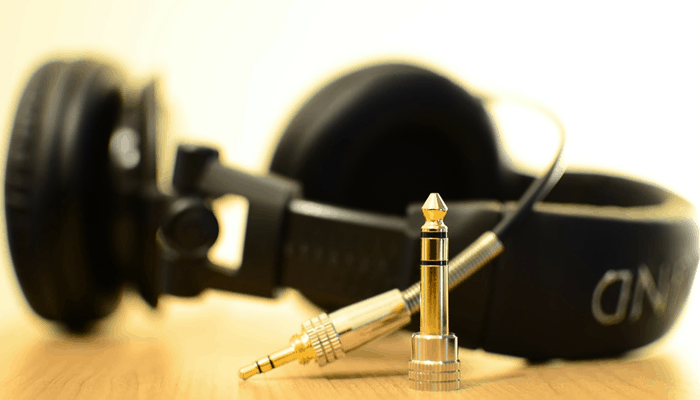 Though they do stock cheaper alternatives that are slightly less advanced as well as much more expensive boutique combinations with next-level audiophile sonic ability. 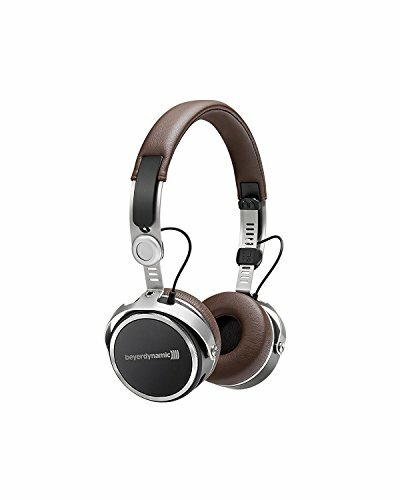 Online prices are inevitably subject to frequent fluctuations but to give you a clear idea, the variety of Beyerdynamic headphones available are all priced below the $2100 mark with their most expensive pair sitting just below the cap and their cheapest entry-level set coming in at around $60. This is of course solely in reference to their actual over-ear Headphones as Beyerdynamic make a multitude of in ear-bud models which start as low as $3, as well as some sweet gaming headsets. In our expert opinion, yes pretty much all of their headphones over the $150 mark have exceptional engineering and superb drivers which outperform most similarly priced sets. The higher-end models are simply put mind-blowing. The level of detail in their analytic reference sets is beyond what most people can comprehend if they have never had the pleasure of using a professional quality pair. There is some competitively priced high-end model which are on-par with theirs but they will still be a similar sized investment. Beyerdynamic stock some stunning audio headphones, we have highlighted a broad selection of their Dynamic Tesla designs to give you a good sense of exactly what each series brings to the table. In essence, the circuitry and core components of all of the products reviewed in this article is driven by the same Tesla field concept. They all have exceptional driver performance and they each serve up broad spectrum audio. 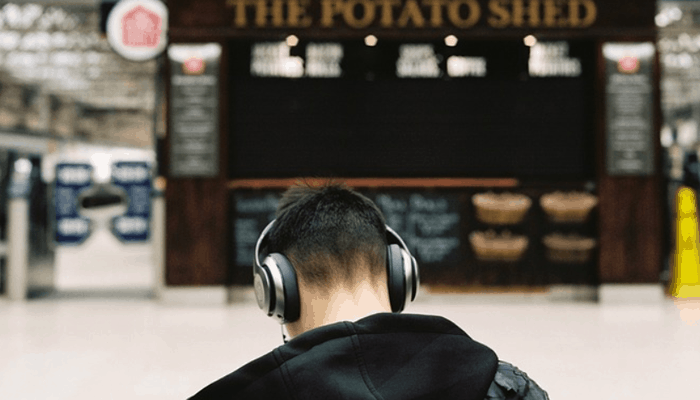 Decide your preferred listening style and mull it over along with your sound requirement this should help you to narrow down whether you need open or closed back headphones (or indeed semi-open). Once you have your style chosen it is a matter of weighing up value for money, the quality of audio really is only affected by your budget. The mid-price set is worth their weight in gold, below the 200 dollar mark the products really only differ in design concept, style, and comfort but the fidelity and resonance of the sets retailing around 300-500 bucks are phenomenal. Beyerdynamics stock custom sets named after some of the greats, including Chet, Grover, Duke and Stevie. Their highest priced headphones being their Quincy model which is a hand crafted combination of their 2 highest quality sets, blended into an audiophiles dream.